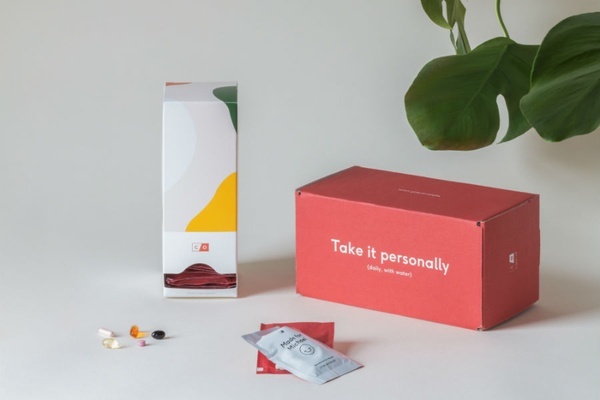 A personalized vitamin supplement packet. All photos courtesy of Care/Of. Don't you feel like the best version of yourself on vacation? Free of the shackles of a daily routine — and all of its alarm-slamming, bus-catching, coffee-guzzling, laptop-hovering sameness — I get around to doing the little things I always imagined my adult self to be doing. Cultured things. Edyfying things. Athletic things. Like strolling around for the sheer pleasure of looking at architecture and spontaneously popping into a cafe for a glass of wine in the afternoon. Vacation is when I read books and use moisturizer, talk to strangers and drink plenty of water. It's my chance to make amends for my personal misgivings, make resolutions to take my daily vitamins. 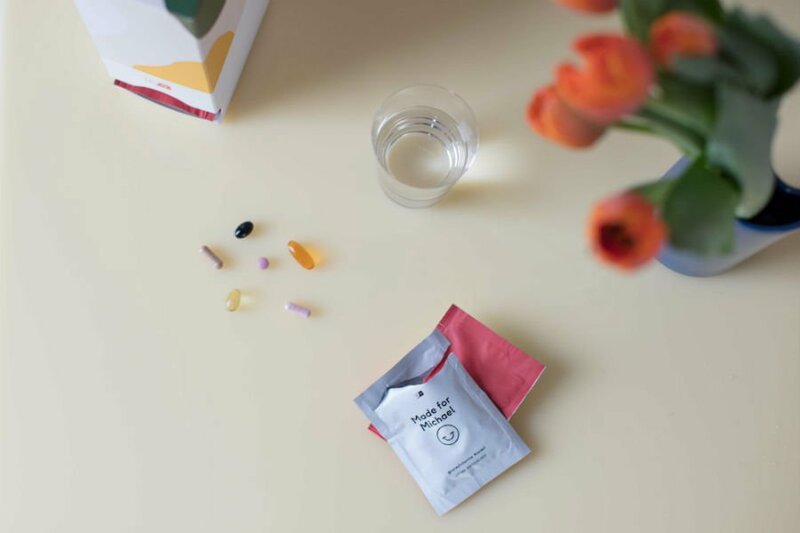 At least that last promise is one I've been keeping even at home, thanks to Care/of, a vitamin company that customizes combos and delivers them to your door on a monthly basis. 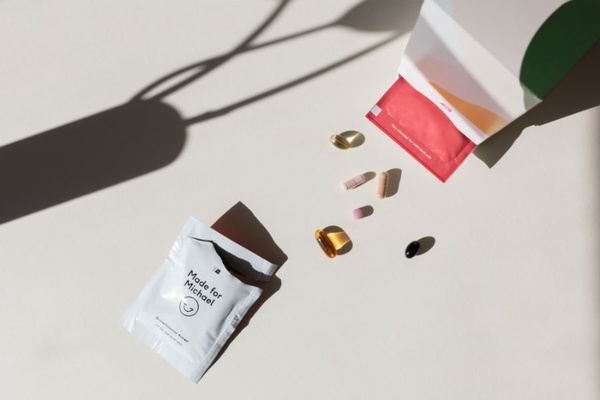 An adorable multiple-choice survey asks whether you are "informed, curious, or skeptical" before helping you determine the kind of supplement bundle that tackles your biggest concerns (skin, immunity, stress, bones, brains, energy, etc.). Are you looking to get pregnant? Are you worried about short-term memory loss? Do you drink alcohol regularly? A little bit of mysterious back-end algorithmic magic and — voila! — a recommendation is made for a daily dose, which may include anything from a prenatal vitamin to an iron supplement to Astaxanthin (a naturally occuring antioxidant carotenoid found in algae and seafood). The whole-food pills are easy to digest, even on an empty stomach. Everything is manufactured in the USA and tested by third parties. What's more, the website includes links to research supporting each supplement and pertinent info about the type and number of studies conducted on behalf of each. A month's worth of custom supplement packets are packaged up in a cardboard dispenser along with a booklet outlining the contents of your custom combo. When it's time to head out of town, it's easy to grab a stash and toss them into a carry-on for healthy travels. You know what's nice? Care/of offers clear, expert guidance; tests, vets, and reports findings from scientific studies; is overseen by a team of physicians and nutritionists; is transparent about its supply chain and prides itself on its clean production practices. For the consumer, it's simple and easy to order and very handy when traveling.